Established in 2014, we, ZELOS FOOD PRODUCTS INDIA PVT. LTD are a Pune, Maharashtra, India based company, actively engaged in manufacturing and supplying of a wide variety of Milk Compound, Dark Compound, White Compound, and other similar products. Owing to their optimum purity, delicious taste, and long shelf life, our products are highly demanded among kids, youngsters and adults alike. 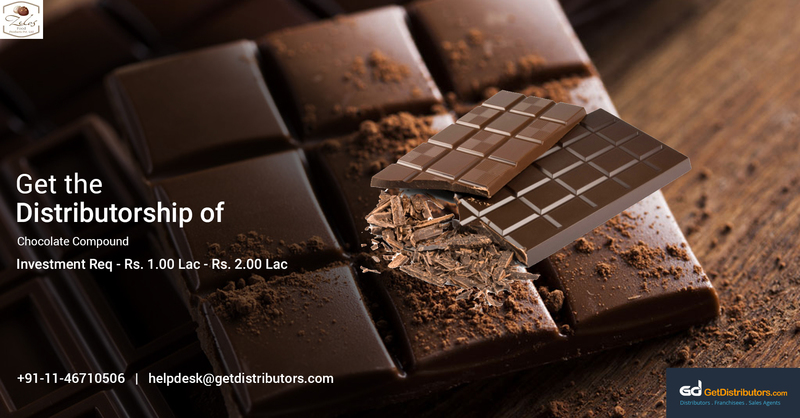 We are selling these superior quality chocolates at reasonable rates, under the brand name Zelos Food Products India Pvt Ltd. Since our establishment, we have been able to create a niche for ourselves in this sector, which is evident from our annual sale of Rs. 10.00 Cr – Rs. 12.00 Cr. To expand our business, we are currently looking for city-level distributors. What benefits do our distributors get?